Combining both traditional and innovative erosion control strategies, can successfully achieve zero discharge performance standards. Wind and water erosion can be managed with similar techniques because they are both fluids. 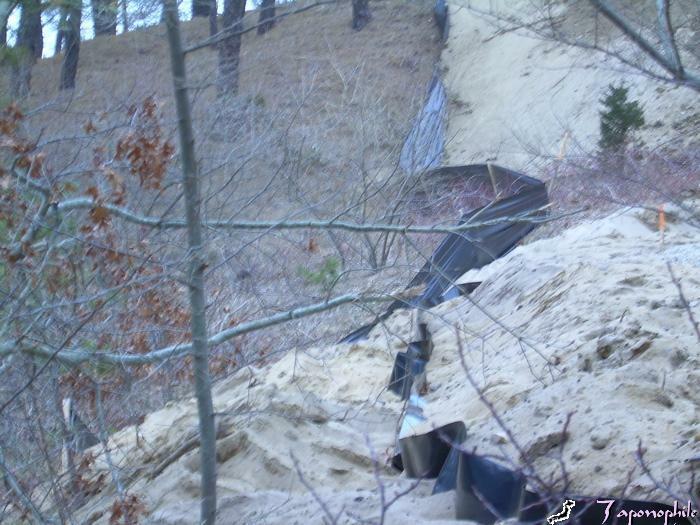 Erosion control systems should always be designed for zero discharge. Construction activity removes the natural vegetation which normally slows and infiltrates rainwater. Uncontrolled erosion depletes resources by transporting topsoil and subsoil down slope, creating gullies and smothering down slope and wetland resources. Properly installed erosion control systems will perform in compliance with Conservation Commission and Endangered Species permitting regulations. Preventing and controlling erosion is a major plus for anyone building Green. Smart Growth Techniques, Low Impact Design and Green Building systems all agree that erosion can easily be prevented with a few simple guidelines:First, design your site to prevent erosion. Reduce your construction envelope to minimize de-vegetation. Second, design with the natural flow of hydrology. Don't create problems from excess sheet flow discharge. Third, design different systems for different needs. Make your choices based on slope and contributing flow. Several basic tools are used to work with erosion control systems: heavy scissors, sharp knife, heavy hand maul, heavy duty stapler, tape measure, lawn edger tool. Several basic components make up the majority of erosion control systems: Here are a few examples of the materials, systems, and techniques that we use. 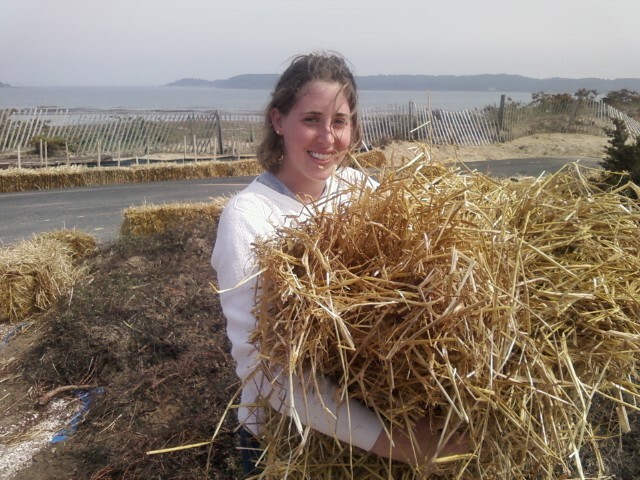 Straw, made up of grassy stems, usually second cutting after the seed heads have been harvested for hay. We use straw because hay would introduce non-indigenous seeds. Straw us used to trap eroded sediment. Jute netting, also inappropriately called "erosion cloth". 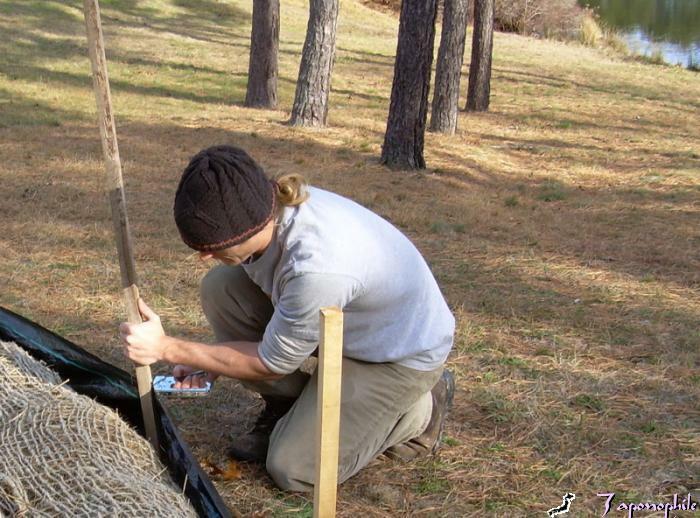 We use jute as a cover for sloped bare ground and to construct bio logs. Sand fence, also called snow fencing. 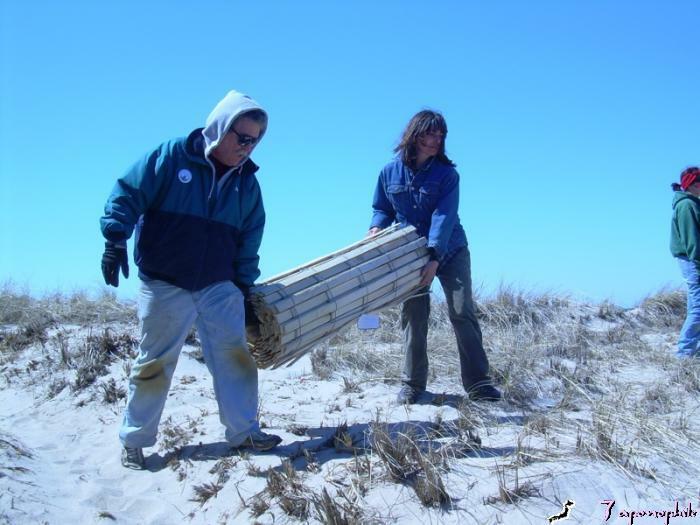 The slats control beach erosion by slowing down wind. Bio logs are used together with silt fencing to slow down storm water, trapping silt and sediment. Longer sections of bio log/silt fence systems should always incorporate animal bypasses. These should overlap in an upslope direction, so the by pass can still function as erosion control. Silt fence, a semi-permeable filter fabric which traps fine silt but allows water to seep through. 36 and 24 inch silt fencing is available. We only recommend 24 inch fencing for erosion control systems. The fencing comes with stapled stakes every 10-12 feet. We staple an extra stake in the middle of each section to create fabric tension which improves performance. 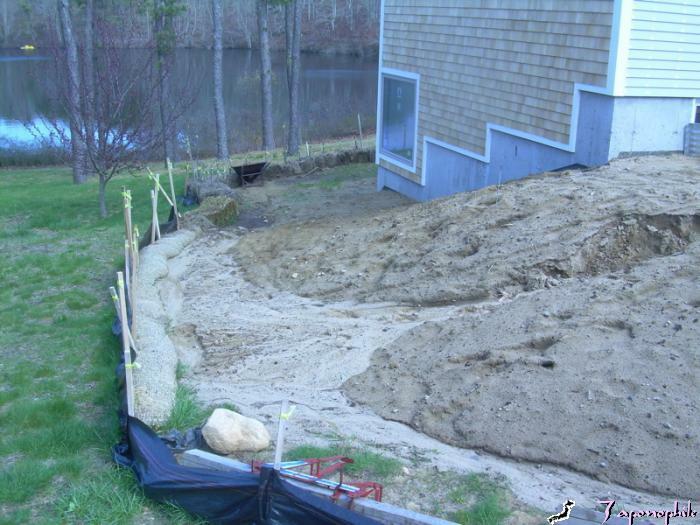 A significant percentage of 36 inch silt fencing fails to perform in Outer Cape weather. It also requires stakes every 2 ' to last through the winter. We no longer use or recommend 36" silt fencing. Are people who still use this expecting 36" of rain? 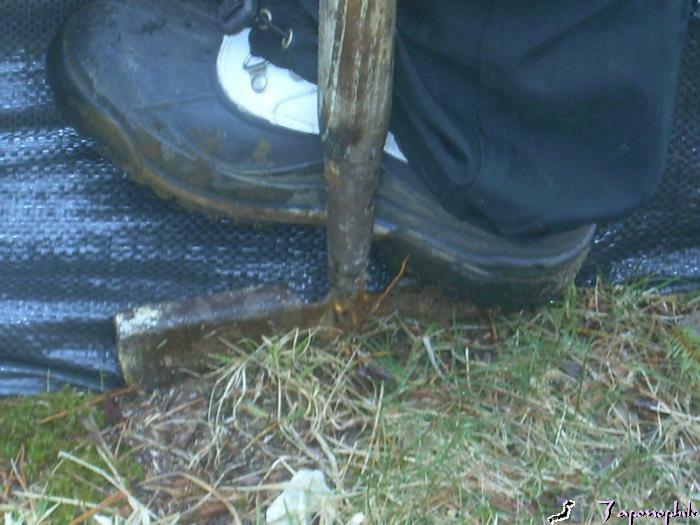 The fastest way to install silt fencing is with a lawn edger. Digging trenches to install fabric is counterproductive, expensive and creates additional soil erosion next to the area you should be protecting. 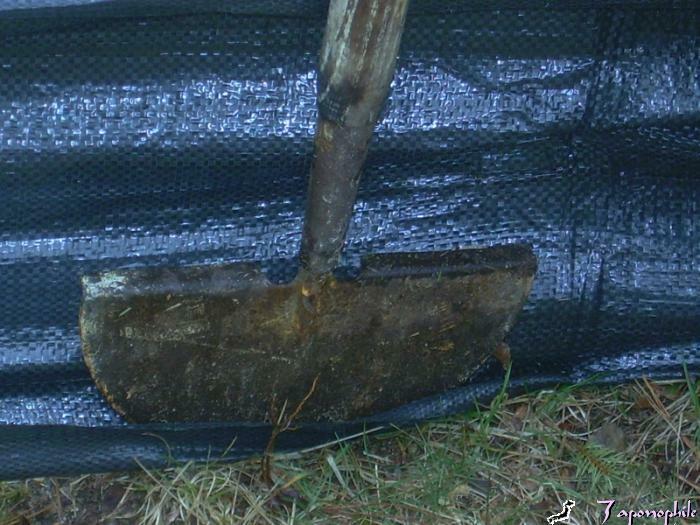 Place the edger on the lower edge of the fabric to insert the silt fencing 4-6 inches. Fabric is stretched tight and stapled to additional stakes. Putting staples in vertically works best. 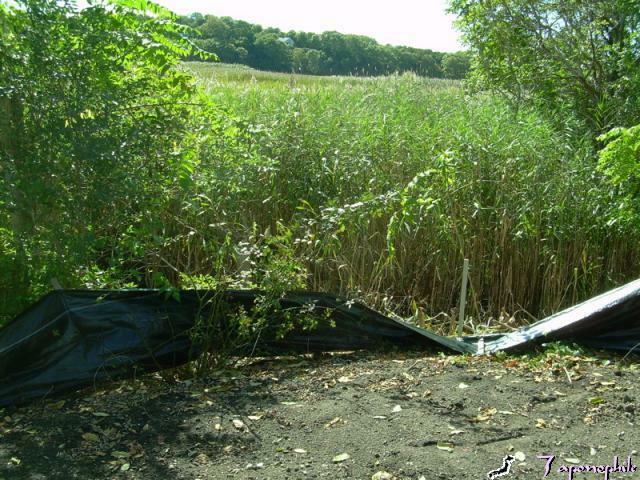 Failures in silt control systems are most often generated by improper installation of silt fencing, using oversize silt fencing that is 36" instead of 24" tall and ignoring the need for regular inspections. This site represents all three problems. 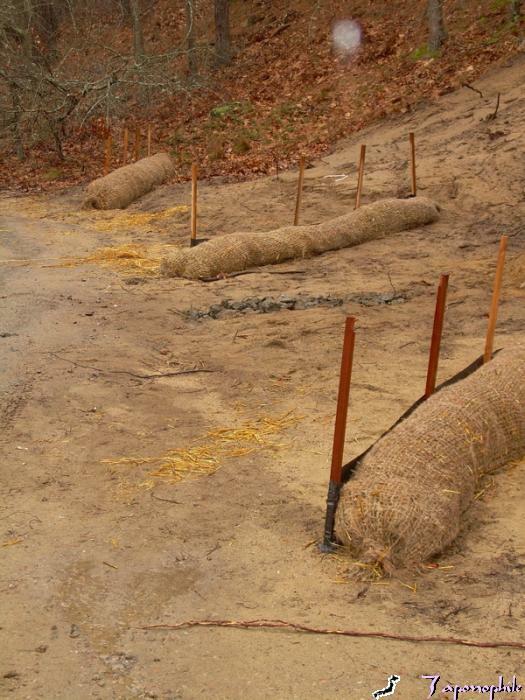 Poorly staked silt fencing should never be depended on as a "stand alone" system for controlling downslope erosion. 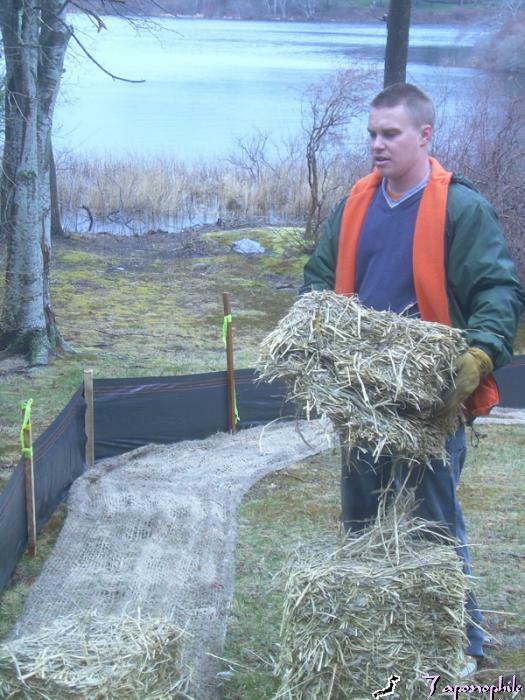 Each straw bale is broken up into "flakes" which get spread out along 30 feet of jute netting to build bio logs. The jute netting is wrapped around the bulked up straw and secured using ground staples. 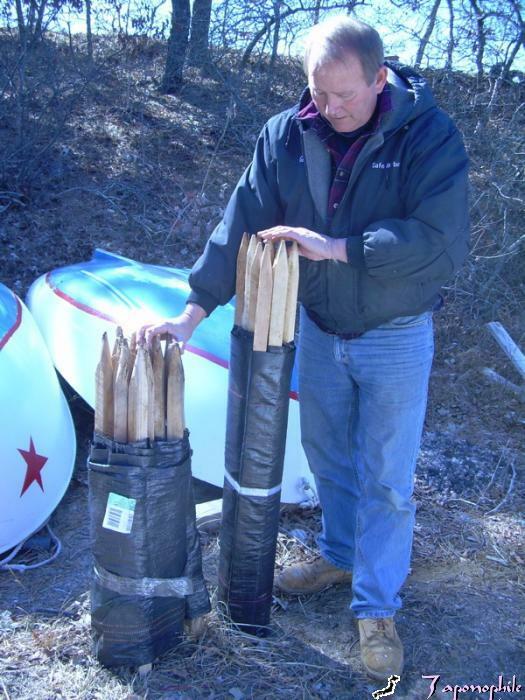 Bio logs are used together with silt fencing to slow down storm water, trapping silt and sediment. 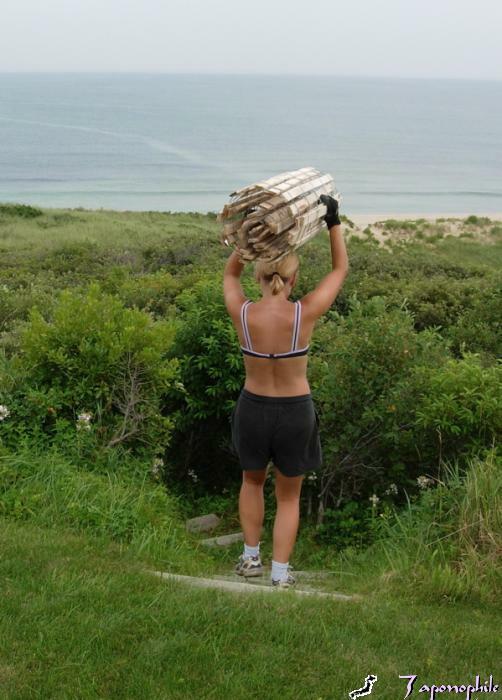 Bio logs can be used on side slopes or gentle slopes. 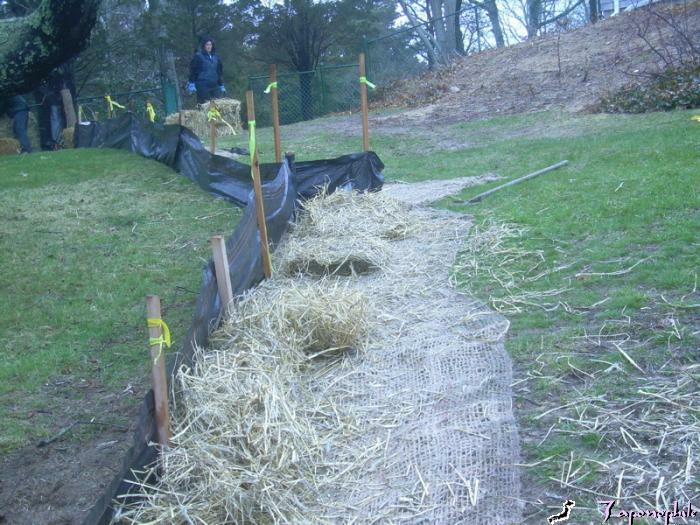 This side slope bio log/silt fence system is shown after successfully performing during a surprise, fifty year storm water event. This site also incorporates straw bales downslope. 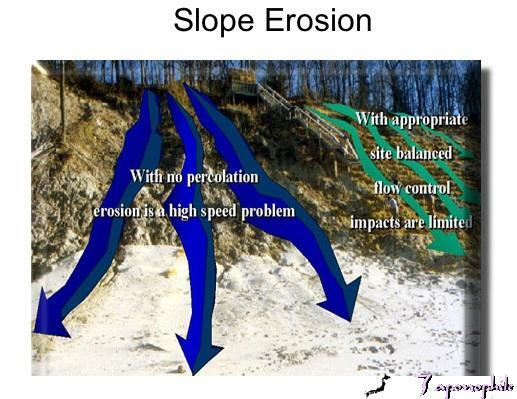 Steep slopes create serious erosion potential. 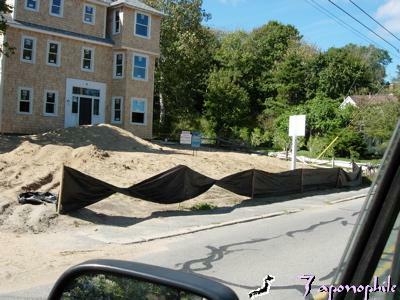 We used double staked straw bales on top of this slope next to a planned demolition and excavation site. 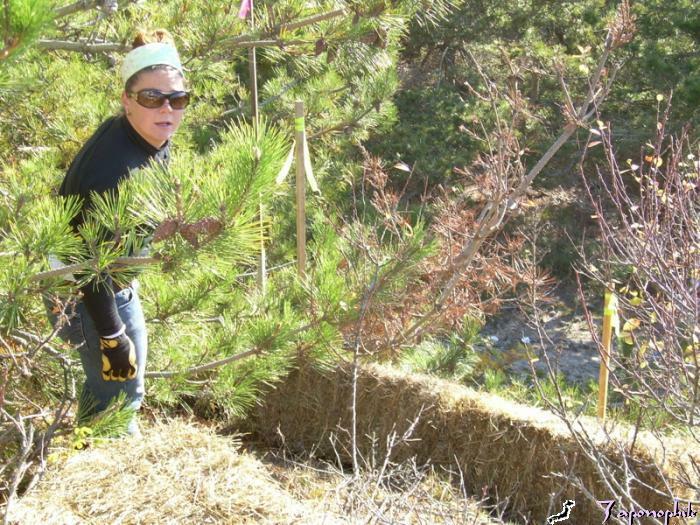 When slopes become eroded, double staked bales need to be placed at the bottom of the slope, where wetlands usually begin. 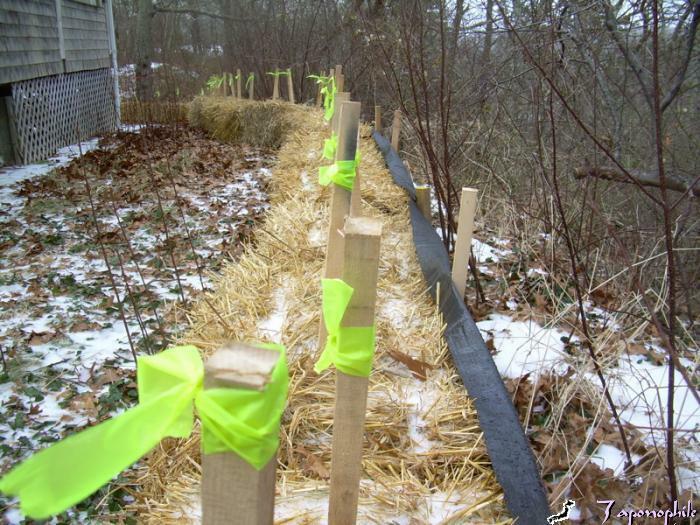 Straw bale erosion control systems are only effective if they have continuous contact with each other. "Decorative" erosion control systems are clearly nonperforming, unprofessional and indicate a lack of Conservation Commission supervision. We use 24" sand fencing in an area like this. The slats can be driven into place with a rubber mallet. Erosion control systems that obviously fail to meet performance standards are unprofessional and point out a lack of understanding of the site conditions and erosion control alternatives. 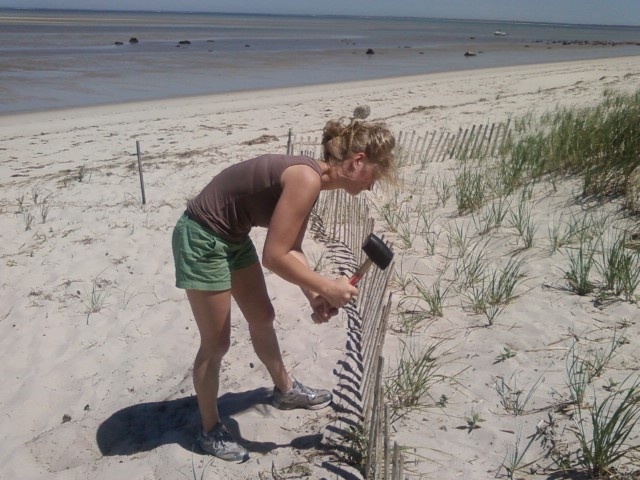 Sand fencing prevents wind generated sand erosion by controlling wind speed. Fencing placement should be three to six feet apart for best performance. 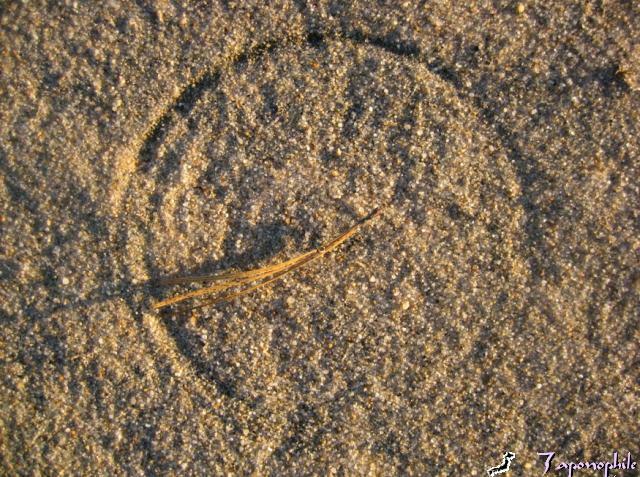 Fencing also generates sand deposition because when wind is slowed down, it drops the sand it is carrying. Fencing slats can be individually driven into the sand instead of using additional stakes. 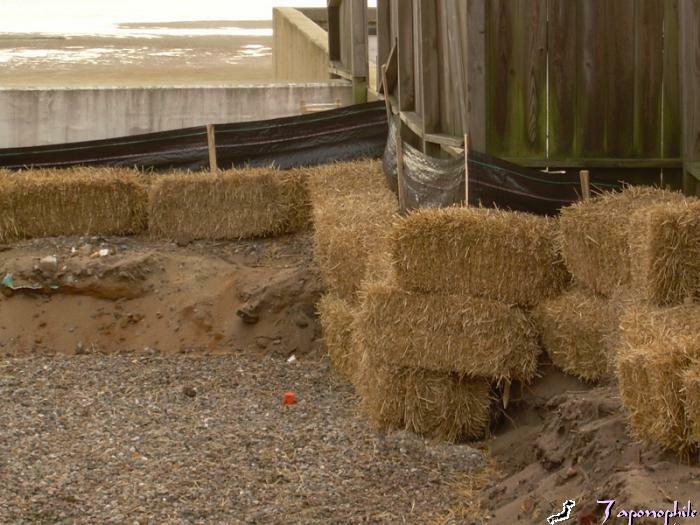 We also use 4 foot high sand fencing to address human caused erosion on coastal banks. Redirecting foot traffic from a crumbling edge of this coastal bank may prevent unnecessary erosion.